A bunch of us headed to Ayna, the Indian cuisine restaurant at the Hilton for a dinner of kebabs. and boy, did we get much, much more. The first thought that crossed my mind when i walked into lovely Ayna was all the ornate mirrors. Rightly so, the name 'Ayna' means reflection. Close on the heels of that, "Opulence" was the second thing that struck me. Ayna at the Hilton can rightly boast of sophisticated, tasteful and well thought of interiors. You can tell that every piece of cutlery, linen and furniture has been picked out with well thought out care. The beautiful ambiance lends such a splendid feel, that when dining there you can't help but feel privileged. Add to that the excellent service, and i was sold. We were vsiting the Ayna for the Kebab festival which is on till the 2nd of September. We started off with a glass of frothy and fresh gulkand lassi. It was everything a lassi should be: light and refreshing and prepped us for the stuff to come. The next drink served is worthy to win the invention test: we were served a large and intimidating looking glass of, brace yourselves, gulkand mojito (virgin of course). Not priding myself in being a fan of rose flavors in my food, i took an apprehensive sip. and was pleasantly surprised. This signature drink does not feature on their menu but it takes pride of place in the repertoire because of its quirky blend of ingredients. Suffice to say, i was hooked. Have you heard of a pre-starter? Well, i did for the first time at Ayna. They brought a dish that tasted like dhokla. It was good, light and delicately flavored. Appetites sufficiently whetted, we were ready to move onto the kebabs. We started with the Kakori kebab: literally a melt-in-the-mouth lamb sheekh kebab served on a small roti. It struck the right notes and got the evening going. The next dish made us raise a few eyebrows and with good reason; it was the must try Ayna Black Chicken Tikka. It is a platter of grilled boneless chicken marinated in the usual suspects of cream and lemon juice and few other choice ingredients. Chef Vijay Singh's star secret ingredient lends this unique dish its coal black color. This dish offers much more than the humble chicken tikka apart from the mysterious black color. 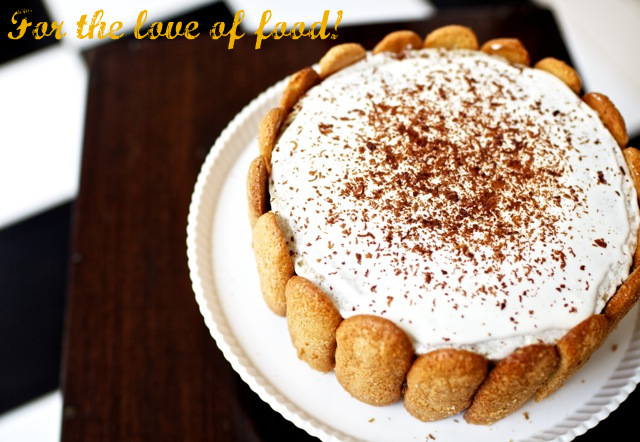 It is easily their signature dish and carries the title with panache. The edible silver foil perched on the chicken certainly helps. We moved onto the Barra Kebab: tender lamb shanks marinated in spices and cooked in the tandoor. I was not overly enthusiastic about the texture but it found big fans amongst others at the table.The Nasheeli Tangri was another thing altogether: succulent drumsticks of chicken marinated in spices and rum and grilled in the tandoor. Juicy and flavored very well, it was the epitome of chicken drumsticks. We opted for veg and seafood platters so that we could each taste a little of everything. The vegetarian platter had some super soft grilled paneer and was flavored alright. The Palak Khas Khas Kebab was good too; it is a fine mince of spinach and cheese rolled in poppy seeds and crispy fried. My fav veg dish though, was the Mushroom Jahanara which was grilled button mushrooms stuffed with cream cheese and onions. The cheese was oozing over and the soft and flavorful mushrooms were cooked perfectly. The perfect vegetarian dish, if you ask me! The seafood platter came with interesting options. It had the Machhli Ajwaini which i did not try but heard was alright. The Meenu Varuval or kingfish filets were a tad dry but passable. All these concerns about mediocrity were put to rest with the mighty Tulsi Jhinga or the Basil flavored prawns. This was my fav dish of the day because it ticked all the right boxes: juicy, succulent and good flavor. Definitely a must try and yep, you can't stop with one. I got to taste a truly unique dish, the Babri Sheekh. Don't let the name fool you, this dish of skewered chicken mince in red chili and coated with chopped egg whites is so unique, you will want more. The egg whites encrust the underlying juicy and tender sheekh and is sprinkled with a generous hand of intriguing masala powder. We wound up the meal with some good rasmalai, kulfi ice cream and malpua. I am generally not a fan of rasmalai, but this one was good: soft, delicate and subtly flavored. Ayna with its carved mirrors, uber style and delectable kebabs has much to offer. They say that they showcase Indian Cuisine but it offers much more. It gives a contemporary, but good twist to the vast repertoire of dishes that belong to Indian cuisine, spanning North, South, East and West India. The personal touch that they give each diner by interacting with each table is commendable. Ayna also offers its specialty kebabs with a choice of fine wines, which certainly ups its elite status. 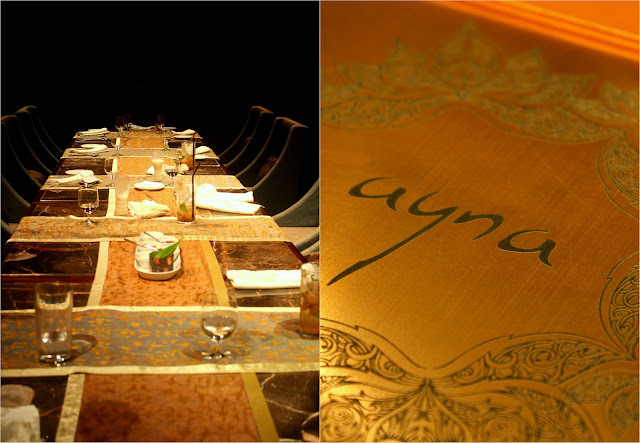 Ayna is open only for dinner on weekdays, and for lunch and dinner on weekends. It is on the third floor of the Hilton. The Hilton is located right next to Olympia Tech Park, on JN Salai, in Guindy. all these pictures make my mouth water...time to find a good kebab place. This is the place where eating when tired of meat. The menu has a good variety of fish and seafood and, although they not fresh, the dishes are well prepared and cooked. The restaurant is nice and clean with a kind staff. Nice restaurant review that you are sharing.